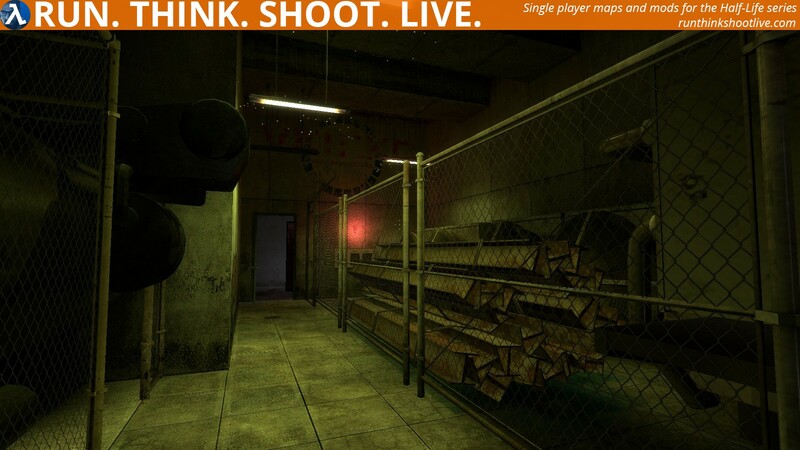 Copy deadlock.bspfile into your …\Steam\SteamApps\common\Half-Life 2\ep2\maps\ folder. Open the console and type map deadlock and now press ENTER. I would have liked to have posted more screenshots, but I’m stuck at the key pad. Select to see what I tried. But only if you know the answer or have given up! In the basement, by the guy talking, are 4 images: a trolley, cans, an overhead light and a lambda symbol. There is also text that says “Code Number”. I found 2 trolleys, 7 cans, 4 lights can be seen from the main entrance and 4 lambda symbols. But 2744 didn’t work for me. There is also the red room with numbers and arrows on the floor but I tried various combinations based on the arrows, but that didn’t work either! You were close Philip, but no cigar… The code is indeed given by the puzzle in the basement. But you need to explore one more area before you get to the right count of trolleys and lights. It’s the train platform, how you get there is tricky but if you check out the ticket booth you’ll get there. That’s strange because up until now, the handle didn’t work. I had found it very early and put it where it was supposed to go but when I tried to use it, nothing happened. Nice, short puzzle map. Once you get past the code puzzle, it’s easy sailing. Deadlock is a fiendish little puzzle map and I cannot believe I spent over one and a half hours on it; but it was 2.00am in the morning so maybe my brian was sleepy! Thanks to Phillip and Shark’s comments I got a brain boost. I must say the train controller was a weird one! Simple but with a strange logic and very satisfying to finish, eventually. I could have done without the explosion so late at night; damn near scared the pants off me! Late night expletives are not always well received! I don’t know why, but my mouse is going batshit crazy in the first area of the map, sensitivity is randomly increasing, i can turn 180 degree by accident. 3 trolleys, 7 cans, 9 lights on the train platform, but only 3 lambda symbols. Probably counted 2 as one. This all code puzzle isn’t very clear. 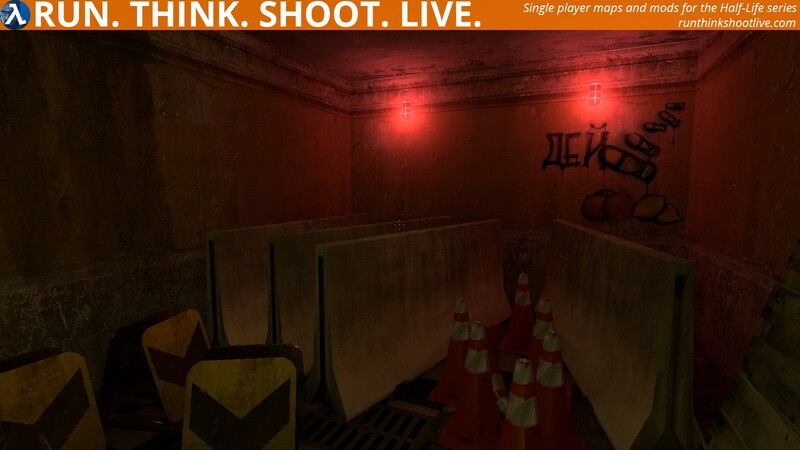 At first I thought those 3 paint buckets right on that hint graffiti is an another hint, that there are 3 lamba symbols. Nope. Also, at first I counted 2 suitcase on the basement troley as the first number. Nope. Oh, and I took the lever at the beginning, to the basement and had to jump back upstairs with it from that ladder… that ladder/pipe wasn’t cool, but I found out that crouch-jump do the trick. 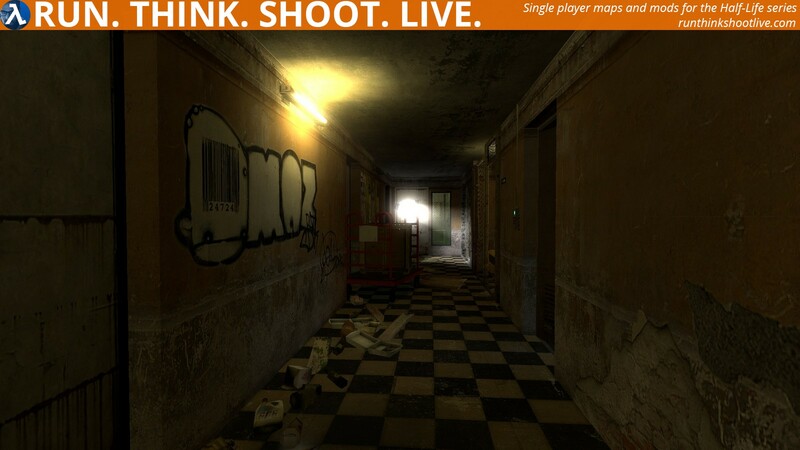 Overall cool map, I like non-combat maps. There’s a red switch on the desk. It changes the view on the monitor. Nice looking map. Puzzles and problem solving elements can create an enjoyable gaming experience but did not find this to be the case with the number pad code search and began to lose interest after awhile. I like a good puzzle in a map, but a map entirely around a puzzle is not my favorite. But this one was pretty well made! The only thing I did not enjoy was the limited movement, why couldn’t we sprint? It Wouldn’t have changed any of the puzzles, it would just be more enjoyable. 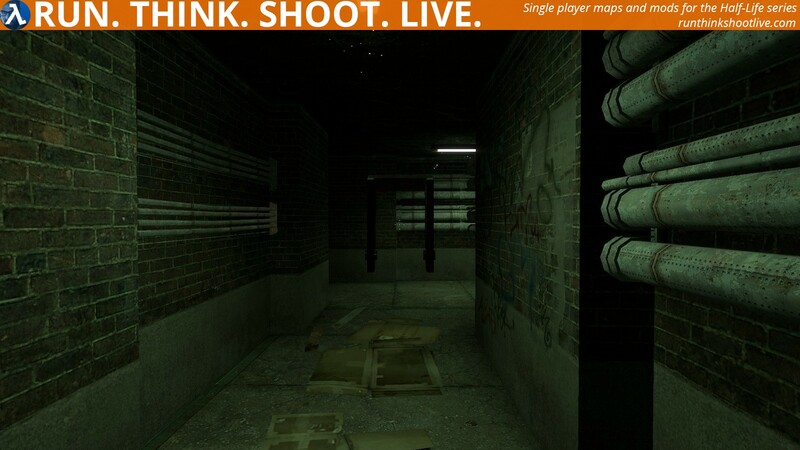 The map was also pretty dark, so a flashlight wouldn’t hurt. The last puzzle was pretty weird. SPOILER FOR THE LAST PUZZLE INCOMING : I just started flipping the levels randomly by spamming my use key and it somehow worked. The Level design was very nice! 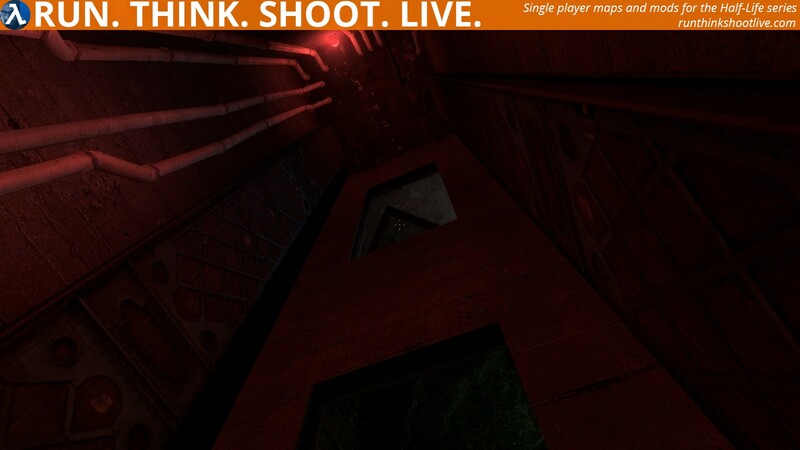 Overall not my favorite map but you should definitely play it! 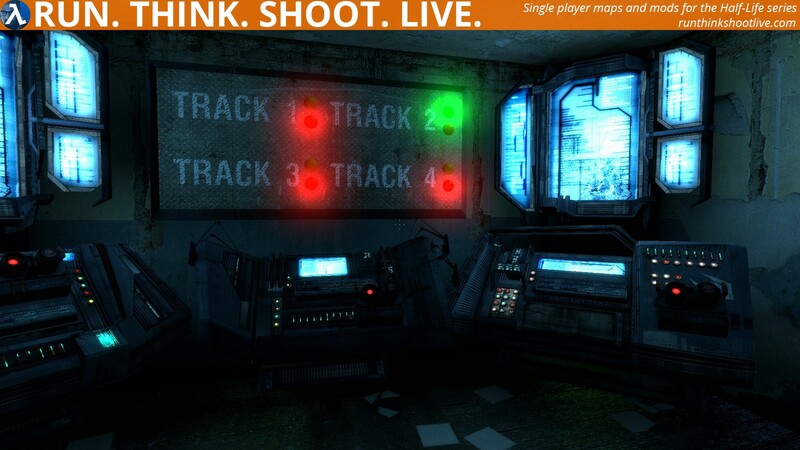 Deadlock is a short but challenging puzzle map, it’s the kind of map that lets you sit back and take your time without having to worry about much. There’s no combat. And I really liked it. The biggest downsides for me were the slow movement and not having a flashlight, as it’s very dark in general. And also I could not figure out the solution for the final puzzle, I pretty much just got it randomly after trying for quite a while. I still have no idea what you are supposed to do there or how you figure it out. It’s well detailed, the puzzles are challenging and I felt very satisfied once I finally got the solution. And with the exception of the last puzzle, it generally wasn’t very unclear what I had to do to. I love puzzle games, and puzzles in HL. However, the clues in this map were for me either very obscure, or altogether absent. I am at the power station on the train platform with the 5 levers. I can hear they do something when moved, but I can’t discover what, nor do I find any clue as to what they are for. I would appreciate a clue from a player? Also, I cannot jump…even tried changing the keys in options with no luck. Not sure what the object of the levers puzzle is. Thanks! 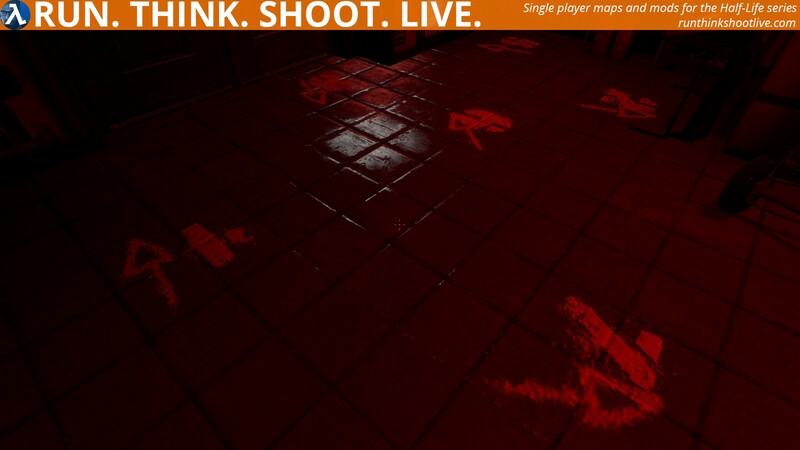 has something to do with the numbers and the arrows on the floor in the RED room. However, so far I haven’t worked out the exact lever positioning, or the generator numbering either, and I’m sure they are numbered in a certain order, the sparking one is some kind of clue, but don’t quote me on that, only going by other comments. Alright, full disclaimer: I’m not usually the biggest fan of puzzle maps, but I can enjoy a nice, calm puzzle if it isn’t anything too ridiculous. First, I want to start off by saying that the visuals are pretty awesome! Great detail, great atmosphere, great everything! But all the gameplay is in the puzzles. So how’s the puzzles? Well, to me, they’re mostly sane. I really liked the puzzle you did to get the keypad code, I had to bust out a pencil and paper for that one. It can be a bit tricky to count everything properly, though. I also appreciate how well the map utilizes its space. It frequently has you turning over stones in areas you’ve already been through looking for clues. The last puzzle was frustrating at first, but I figured this one out, too! 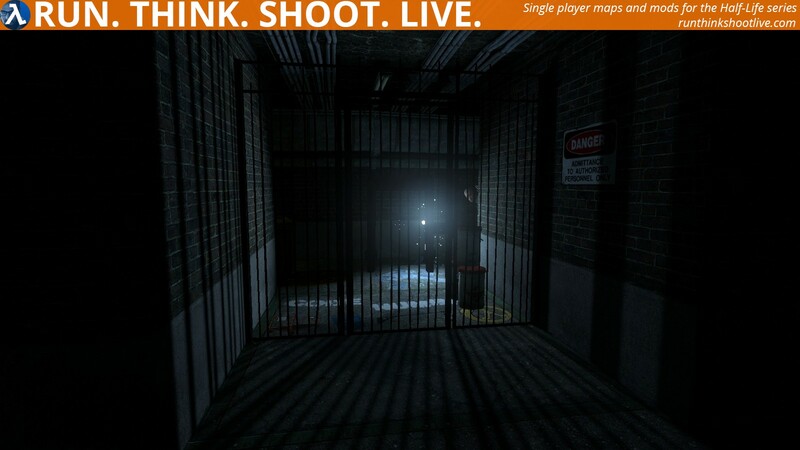 SPOILAH ALERT: When you see the generators on the opposite side of the map, note the one that’s sparking. Flip the levers for all of the generators except the sparky one. So yeah, all in all, definitely enjoyed this one! One last thing, what was with that red room with all the numbers? From what I can tell, it didn’t contribute to any puzzle, so I guess it was just a… RED herring! I didn’t find any cans, but is the cans referencing the TRASH cans? And as for the second puzzle, I just couldn’t work it out at all. Any hints? How are the Power Generators numbered, it really puzzled me. As for the RED room, the numbers on the floor indicate if the lever has to be pulled back towards yo, or if it is pushed away from you. the ones with the arrow at an angle, are not used. (That’s how I looked at it anyway). Cans are by the drinks machine in the main area. ahhhh thanks. Quick off-topic question, is there any way you can search the ‘on this date’ section for mods released on a certain date, as i love to see whats been released on the day, but not on THIS day, if you follow my drift. There have been times I’ve seen the ‘on this date’ part, but not been at my PC to grab it, and then missed it. Yes, there is. Go to the PLAY page and in either the POSTED/UPDATED or RELEASED column filter add the date you want. Include the year or not, your choice. To sum this map up: Potential. Lots thereof. Most of it wasted. In other words: clever puzzles but zero communication. This reminds me of a ville entry I made with somebody else, and we came up with what we thought was nothing short of a brilliant cutscene, and as it turned out, nobody who played the map had any clue what was going on. So first things first, the visuals are of a rather high quality. The lighting, but for a single lamp, is very well done, if not a bit dark at times (which contributes to the atmosphere very nicely). The layout is very clever as well, leading me back to where I cam from and seeming plausible enough for the purpose of this map. I do confess, I simply looked up the solutions in the comments here after trying and failing for a good ten minutes. Even with the options of sprinting and jumping taken from me (bug or intention? ), it didn’t exactly take long to walk through the map a couple times, but trying as hard as I could, I was unable to spot any hints regarding the code or the levers. Had any hints been communiated to me, I would have enjoyed the riddles more, but as it was, it was merely frustrating – quite a shame, as this map seemed, overall, promising. I still don’t know how the last puzzle was to be solved, as I just randomly pressed keys until something went BOOM. You either love this kind of map, or hate this kind of map. Once you get your obtuse-puzzle-mode hat on, the puzzles aren’t too bad. One was mired by finicky controls (the lever to open the door to the train platform didn’t work for me at first; I had to hit “use” in the exact center of the lever panel, rather than on the lever itself), and then I’m positive that one of them just has the wrong solution. (The lever puzzle on the train platform. Apparently the solution is up, down, down, up, down, but from looking at the numbers on the floor in the red room, I’m positive that it should be up, down, UP, up down. I ended up toggling levers at random when the solution didn’t work, and got lucky that I tried this combination early.). For the number pad code, you have to count the number of each object that you find. I ended up looking up that code in this comments section. I never did find a fourth lambda, but I had the counts of the others all correct. There was one behind the vending machine; one in the basement by a dumpster with some food in front of it; and one on the staircase leading up to the read room and the train track room. The puzzles to move the trains and activate all four tracks are of a type that I absolutely detest: multiple buttons, with each button toggling some the activation of some combination of thingies, and you have to figure out the right sequence of button presses to activate all the thingies. These are about as fun as an inguinal hernia. I always press buttons at random until these solve themselves. This is a nice puzzle map that may take 20 or more minutes of your time. The mapping is good, nothing really spectacular, but then again, that wasn’t really the point of this mod either. The puzzles are mostly good, but with the disability to run they take up a lot of time, especially the code puzzle. There’s not that much more to say about this map. 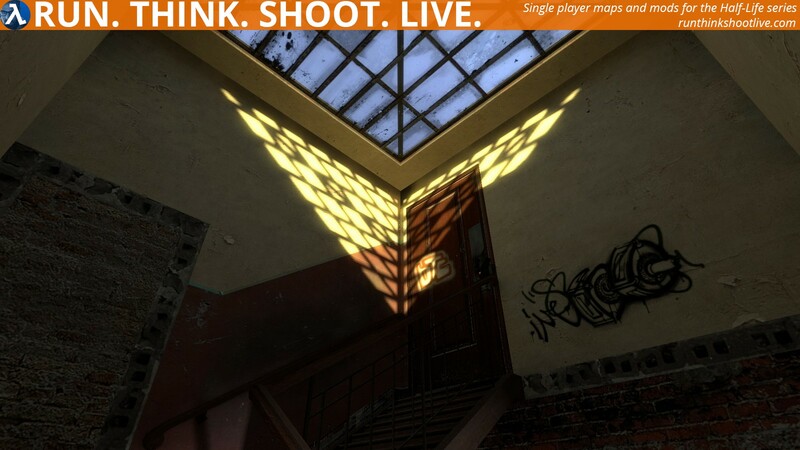 If you’re into puzzle maps, then definitely give this one a try.